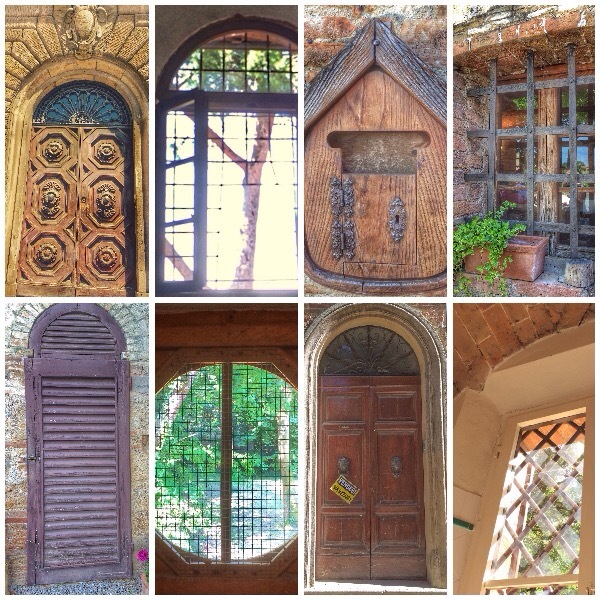 I have a thing for doors and windows. Every location that I visited had images of doors, shutters and iron rails represented in the daily photo album. Visual beauty, for certain, as they caught my eye long enough for a photo to be taken, but there was more. As the doors and windows, shutters and iron gates caught my attention, I was unable to resist the next step. Oh yes, I frequently reached for my camera, but, more frequently, I simply reached out my hand. I touched the grain of the wood, stone or iron. Often, I would close my eyes and imagine the hands that touched, as did my own, through dozens and hundreds of years. The years of history that went through these passageways might include warriors, the wealthy, the downtrodden, politicians, people famous in their field, and people who lived simple lives. History can be felt, as it can be seen, or heard, or even smelled. I live in a place in our world that lusts for what is new. Homes that age beyond fifty years, are viewed as dispensable, replaceable. Today’s home buyers are not looking for ‘pre-owned homes’, but new construction, with nothing from the past, nothing to do, but move in. Established, older homes are upgraded, updated and features such as doors replaced. History is replaced, disposed of, never to be thought of again. And so we turn our backs on historical architecture, but we also turn our backs on our history. It has been said that if we forget our history, we are bound to repeat it. History is not just the events that happened in the past, it is the people, places and all that surrounded the the events. History is in every nook and cranny of our world, and every thing tells a part of the story from beginning to end. your long and rich history. This post is exceptionally good…. You’re making me blush. Thanks.